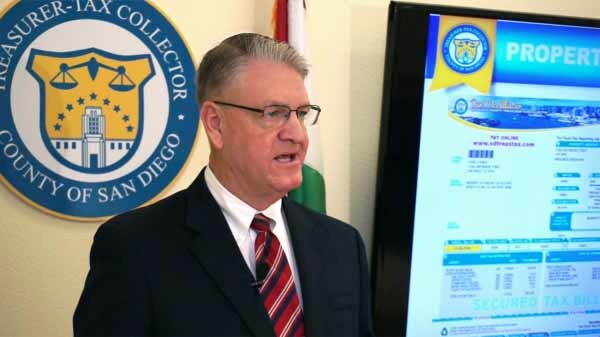 San Diego County opened bidder registration Monday for the online re-offer property tax auction to be held next month. If owners don’t pay property taxes for five years or more, the county can auction properties to recover back taxes. The upcoming auction, to be held July 20-25, will feature 691 properties, mostly timeshares. There also will be 33 unimproved plots of land as well as three improved properties, which typically feature homes or businesses. The available properties were left over from a May auction, during which 323 parcels were purchased for a total of $3 million. Potential participants must register at sdttc.mytaxsale.com by 5 p.m. on July 12. Registrants will need to pay a refundable $1,000 deposit and nonrefundable $35 processing fee.